Winter is now upon us and Mt. Rose Ski Tahoe is up and running for the season. Thanksgiving storms have graced the mountains with enough natural snow to allow resorts to open and offer skiing & riding for the holiday weekend. The Official Kick Off to Winter started with the annual premiere of the latest Warren Miller movie. 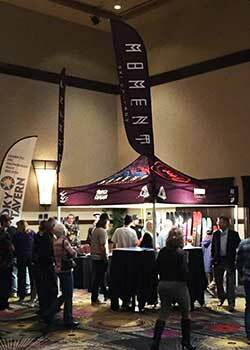 This happened in style as RGJ Media and Mt Rose Ski Tahoe, along with the Silver Legacy Resort premiered Warren Miller Entertainment’s 69th film, “Face of Winter” in the Reno Ballroom. I have had the pleasure to emcee this event for the past several years, as well as the annual premieres at Lake Tahoe for the past 25+ Years. This event is fun and educational with variety of local vendors featured at the Expo with giveaways and educational opportunities. Locally made in the USA ski manufacture, Moment Skis was on hand to promote their newest models; Bobo’s Ski & Sports was also on hand; Sierra Avalanche Center and Sky Tavern Junior Ski Program were here with educational opportunities. And, both Diamond Peak and Mt. Rose Ski Tahoe Resorts were giving away lift tickets. 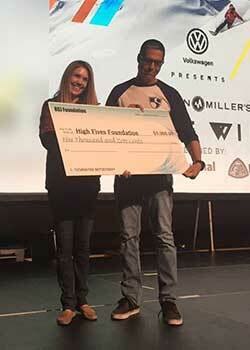 High Fives Foundation was also on hand and premiered their updated film, “Helmets are Cool” and was presented with a $5000 donation check from RGJ Media. 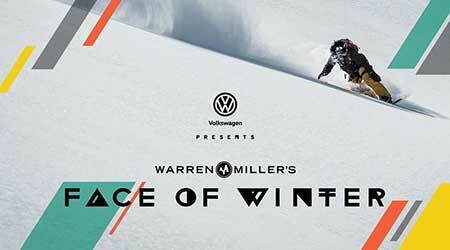 This year’s film features athletes traveling all over the world and laying down turns with a tribute to Warren Miller, the icon himself, that passed away last winter. Thanksgiving weekend also featured two premieres of “Face of Winter” at the Squaw Valley’s Olympic Village Lodge. Friday night’s premiere was sold out. Amie Engerbretson, one of “The Blondes” that has been featured in several segments in past years and who is a Squaw Valley local, was on hand to sign autographed posters. She is featured in “Face of Winter” in an Iceland segment skiing with another “Blonde”, Anna Segal & Jonny Moseley. 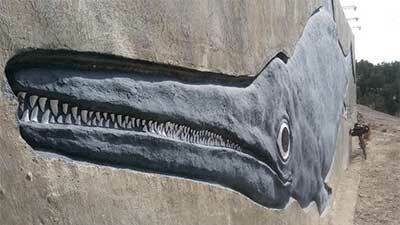 Moseley also narrates the film. Kevin Quinn, a Lake Tahoe local and owner of Points North Heli-Ski Adventures was also on hand, as Warren Miller film crews have featured many athletes over the years, including this year’s film, skiing and boarding out of Cordova, Alaska in the Chugach Mountain Range. Other premieres are November 30 and December 1, at Harrah’s Lake Tahoe on the south shore of Lake Tahoe. I started updating my Lake Tahoe Mountain Resort Report on Friday, November 16 that is uploaded to my winter website: www.bikeandskitahoe.com daily. 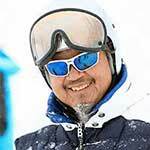 This winter website not only features this daily ski conditions report from most all resorts in and around the Lake Tahoe area but also features central Sierra resorts, a one stop webpage including current road conditions. Bike and Ski Tahoe dot com, also features Ski Articles from my winter travel diaries from road trips, visiting resorts all over the western United States and Canada, plus, my Bike Articles covering daily reports from OATBRAN. Mt. Rose Ski Tahoe was able to fire up their Northwest Magnum Six lift to offer top to bottom skiing and riding after the Thanksgiving storm cycle. Heavenly Mountain Resort is continuing to make snow and is open with access from the Gondola with one upper mountain lift, Tamarack Express, turning and with continued snow making and winter weather will open the upper Nevada side of the mountain, soon. Here is a video of Heavenly’s Opening Day. Other resorts in and around the Lake Tahoe area that are open with limited lifts and terrain include, Northstar, Squaw Valley, Alpine Meadows, Boreal Mtn. Resort and Kirkwood. 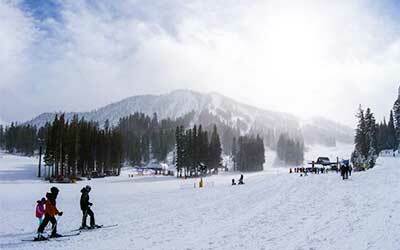 Diamond Peak Resort, in Incline Village, is making snow and is projected to open on December 13. Lee Canyon out of Las Vegas is still waiting on snow to open for the season and Ruby Mountain Heliskiing, in its 42nd year of operation, is taking reservations for the 2019 season starting the 3rd week of January. As with the famous quote at the end of each Warren Miller movie . . . WINTER STARTS NOW! But if you’re not quite ready to stow the bicycle away until spring. . . .